Fiji rock the bus with team song! Don’t you just hate when you get a drink from the vending machine and it comes out warm? 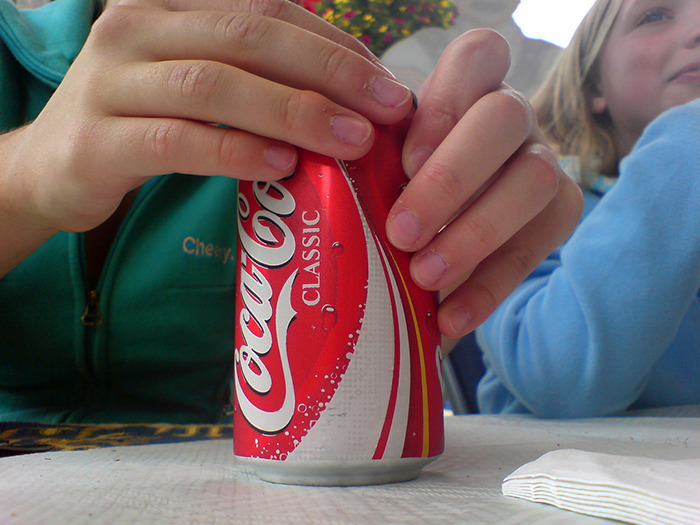 We all know that if you want to get the best out of the Coke, it has to be chilled. So it’s no surprise that it got people wondering how to do it as fast as possible. However, not everyone knows that this problem has been solved for us years ago. 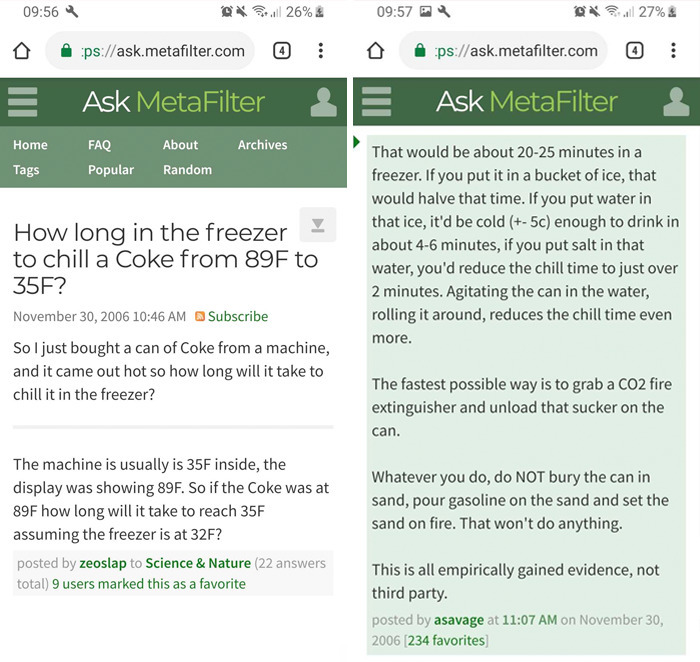 In 2006 when somebody asked on MetaFilter how long would he have to wait until freezer chills his can of Coke, the man who is known for testing out his theories responded. zeoslap asked: “So I just bought a can of Coke from a machine, and it came out hot so how long will it take to chill it in the freezer? asavage responded: “That would be about 20-25 minutes in a freezer. If you put it in a bucket of ice, that would halve that time. If you put water in that ice, it’d be cold (+- 5c) enough to drink in about 4-6 minutes, if you put salt in that water, you’d reduce the chill time to just over 2 minutes. Agitating the can in the water, rolling it around, reduces the chill time even more. Whatever you do, do NOT bury the can in sand, pour gasoline on the sand and set the sand on fire. That won’t do anything. 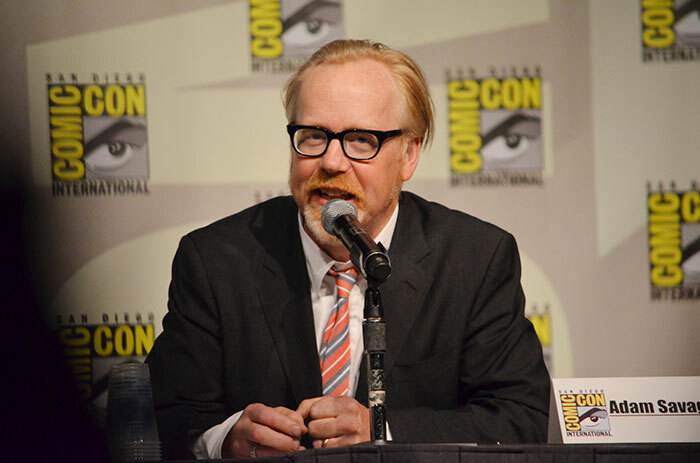 You probably know the responder, Adam Savage, from the television series Myth Busters. According to him, it would take 20-25 minutes in a freezer for the can to chill. But who has that much time and patience to wait, right? So Adam went out of his way and explained how to do it around two minutes!